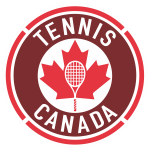 The Herisset Bordeleau Tennis Academy has consistently been amongst the top tennis academies in Canada. Home to rising Canadian player Felix Auger-Aliassime, it has produced nearly 20 Canadian National championsover the years, and helps players earn tennis scholarships at American Universities year after year. Known as the safest city in North America, Quebec City is a true gem. Oldest city in Canada, it was ranked the #1 city in the country by Condé Nast Traveler and many others. True to its French origins, most visitors say Quebec City feels like a quaint European city. With average temperatures around 76 Fahrenheit / 25 Celsius in July and August, Quebec City is the ideal tennis destination in the summer. The Academy’s International Summer Immersion Camp is an intensive program consisting of 20 hours of tennis and 5 hours of conditioning a week. Every camp session includes at least two touristic activities, such as a walking tour of historical Old Quebec, a day at Coupe Rogers in Montreal, fun at the lake, visits of National Parks, or an afternoon at one of Canada’s best known waterparks. Students will be hosted by local families and will be incorporated in one of the academy’s programs that matches their level of play. Students who are interested in learning the French language can incorporate language courses into their program. The Academy is affiliated with the Edu Inter program at Collège Mérici. For more information about the camps, click here. Pour des informations en français, cliquez ici. Para informaciones en español, haga clic aquí. Winter is quite unique in Quebec City, especially for those who have never before experienced snow. A real winter wonderland, Quebec City has a lot to offer – dog sledding, skiing, ice skating, sliding, etc. The International Winter Immersion Camp is an intensive program consisting of 20 hours of tennis and 5 hours ofconditioning a week. Training takes place at Club Avantage Multisports, the city’s top tennis facility. Every camp session includes at least two touristic activities, including a walking tour of historical Old Quebec.